Rebel Visionaire: Marc Jacobs for Diet Coke! 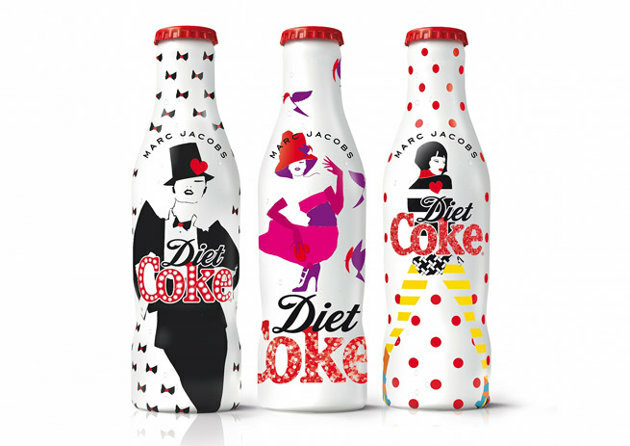 Marc Jacobs for Diet Coke! Pop Culture is Art addressed for the masses, mostly used for commercial reasons focusing on the visual outcome and not on art itself. Now, Coca-Cola has always been a warm admirer of the pop movement , having done numerous ad campaigns based on the allure of that culture in particular! 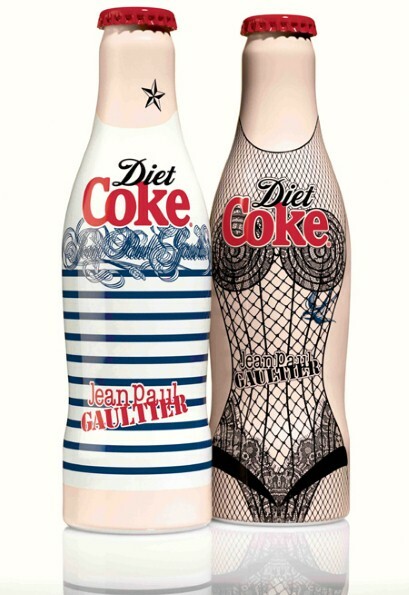 Last year Jean Paul Gaultier was asked to decorate the diet coke cans and bottles, bridging fashion and commerce in a very creative and fun way. 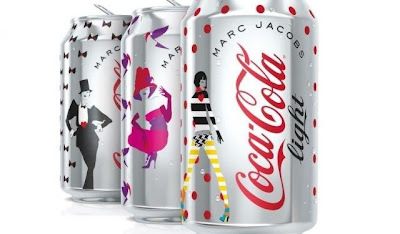 It seems that after that successful debut Coca-Cola has established a new tradition as this year Mr.Perfect Marc Jacobs was as well called to decorate the brand's diet cola. Celebrating 30 years of this revolutionary mixture of taste and lack of sugar, Jacobs designed three different bottles, one for each decade. Now what is more exciting is that he was also asked to be photographed shirtless for the ad campaign of Diet Pepsi, something he couldn't think of a reason to turn down, since as he recently stated he loves gathering attention and it will help his self-esteem quite a lot now that his is turning 50! Personally I love me some fashion coke! Besides this is one of the rare cases that fashion and commerce come together, with a good outcome that is neither harmful for the eyes nor for fashion as a term!